Size 3/8 in., 3/4 in. cheaper than at big box store. Is it compatible with water input/output (3/4 ght) of blichmann therminator? BEST ANSWER: The Therminator uses garden hose thread for the water in/out. It is easy to use with a coiling coil, but be sure you have the correct size hose or it may take you longer to make it work. The only thing I have to complain about this item is their description. Saying something is 3/8" without saying if that size is ID or OD makes things confusing. 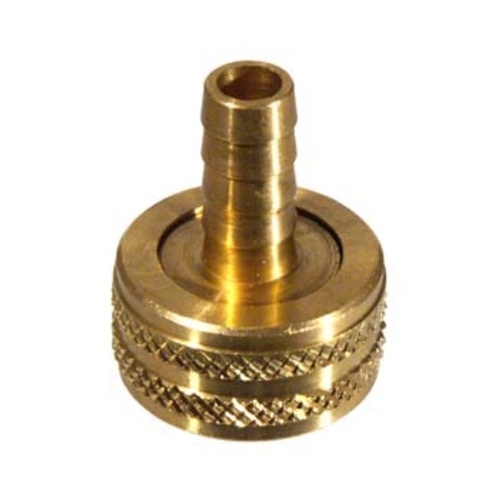 The barb on this 3/8" inside diameter (ID), so you will need a hose that fits this size. I was needing a 3/8" OD, but I will probably need it down the road so I will just keep it. Easily connects to a food grade hose for all your water needs for homebrewing!